Having some fun during shawarma break: a highly unprofessional (no scale, no north arrow, no georeferencing, no nothing :o) 3D model of Sir Flinders Petrie’s grave. Petrie died in Jerusalem in 1942 and was buried at Mount Zion Protestant Cemetery - minus the head, of course. Imitating the Jewish custom of placing stones on the graves of the deceased and mirroring his main interest while still alive, small fragments of ancient pottery are respectfully set on his headstone by visiting archaeologists. S.I.P. (Seriate In Peace), old man! 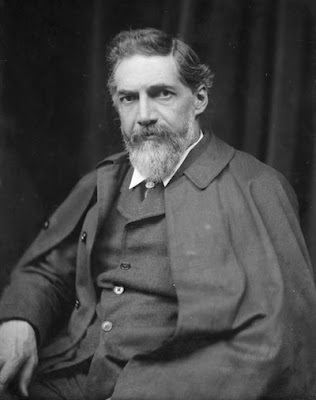 See https://en.wikipedia.org/wiki/Flinders_Petrie for basic information about Sir Flinders Petrie, https://en.wikipedia.org/wiki/Mount_Zion_Cemetery,Jerusalem(Protestant) for basic information about the Protestant Cemetery in Jerusalem or click https://goo.gl/vDv4BF to view on a map.